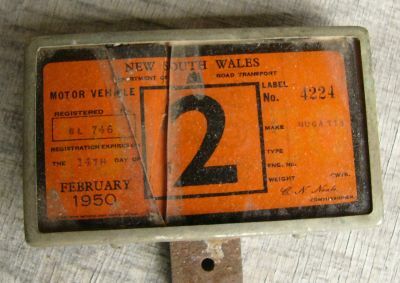 I posted some kind of Australian registration of road tax document of a Bugatti in the picture section yesterday: it was advertised in Prewarcar some time ago. Bugattiregister.com does not know this registration. Who does ? / Who can identify the car and owner it belonged to ? This registration was associated with chassis 2064 when owned by Bryan Butler.